The following achievements are concerned mainly with model aircraft. The first petrol engine to be built by Mr. Stanger was an air-cooled, 4-stroke, 4 cylinder "V" type, of 1¼" bore and 1⅜" stroke. The power developed was in the order of 1¼ h.p. at 1,300 r.p.m. when driving a 28"
diameter propeller of 30" pitch. When considering this engine it is most important to realise that it was designed in 1905 and built in 1906. Relating the time of design to other events aeronautically, it lies only 18 months after the Wright Biplane flew, and four years before Bleriot flew across the Channel. Mr. Stanger's machine was already on exhibition at the Agricultural Hall, Islington, when Henry Farman won the Daily Mail £10,000 prize for flying a circular kilometre. Full size petrol engines at that time were most unreliable and temperamental. Design information and knowledge of the petrol engine were practically non-existent except to the very few who had actually attempted to build full-size engines. That Mr. Stanger designed and built an engine of such small dimensions which operated with a high degree of efficiency can only reflect his great appreciation of I.C. engine principles and design, which was entirely self-acquired. He had a deep knowledge of engineering processes and undoubted skill of hand. This engine was fitted in a large tractor biplane which was designed in 1907 and built in 1908. 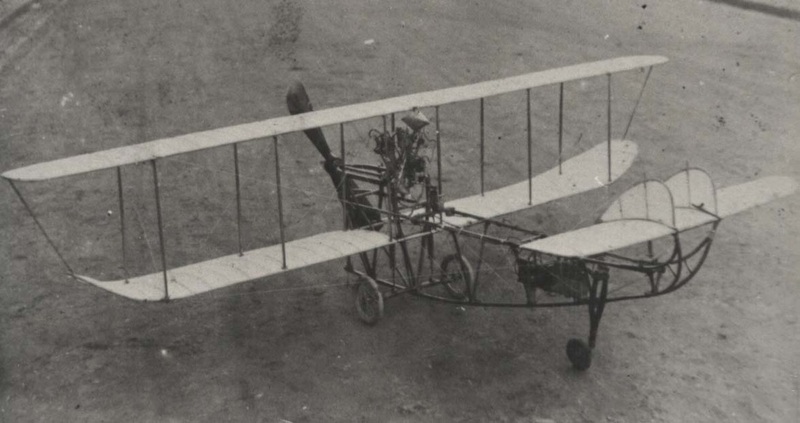 It was the first petrol driven model ever to be built, and was flown successfully in 1908. During the next two years minor modifications were made as experience and knowledge were gained. 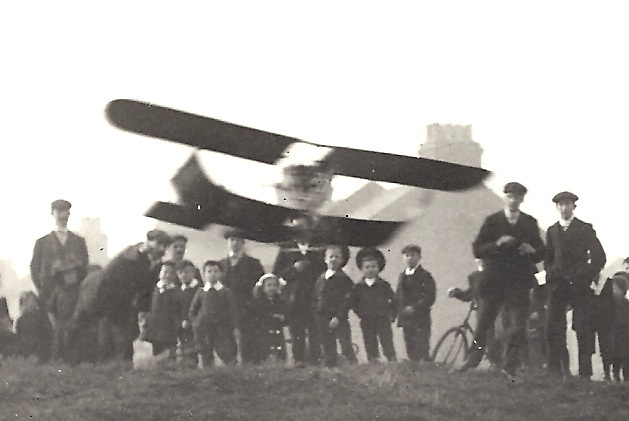 The result was a most reliable and stable aeroplane, which was demonstrated in London and in Headingley (Bradford). The second engine was an air-cooled, twin-cylinder, 4-stroke "V" type, again of 1¼" bore and 1⅜" stroke. Lessons learnt from the first engine were embodied, and the power/weight ratio was greatly improved. This engine was designed in 1912 and built in 1913. 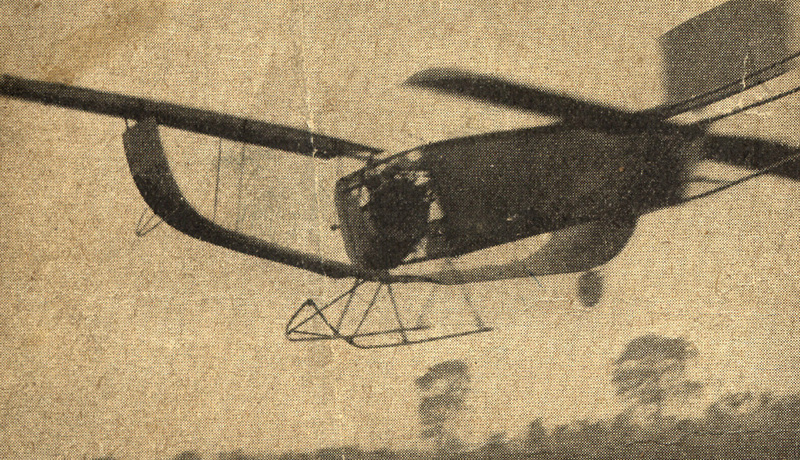 It was fitted in a "Canard" type model biplane built in 1913. This aircraft established the first record for power-driven models on Sunday, 19th April 1914, when it flew for 51 seconds (insofar as the judges and watchers were concerned) at Hendon during the International Aero Exhibition. The aircraft continued in flight until it disappeared; it was later picked up by a Mr. Carr, a pilot, outside the grounds. However, the record of 51 seconds won the prize for Mr. Stanger. These first engines had an automatic inlet valve and mechanically operated exhaust valve for each cylinder. Mechanically driven oil pumps were fitted and float type carburettors dealt with the fuel mixture. 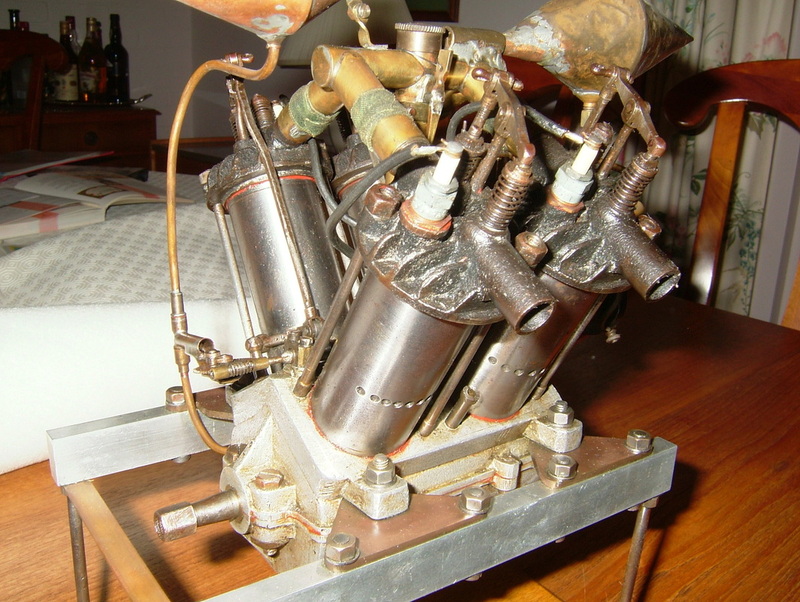 This twin, described above, was clearly a development of his first V-4 engine. The third engine was a 3-cylinder in-line, air-cooled 4-stroke type and was built approximately in 1925. This engine had mechanically operated inlet and exhaust valves. The design of the engine was far in advance of any other engine produced at that time, and its high finish and lightness are objects for admiration. 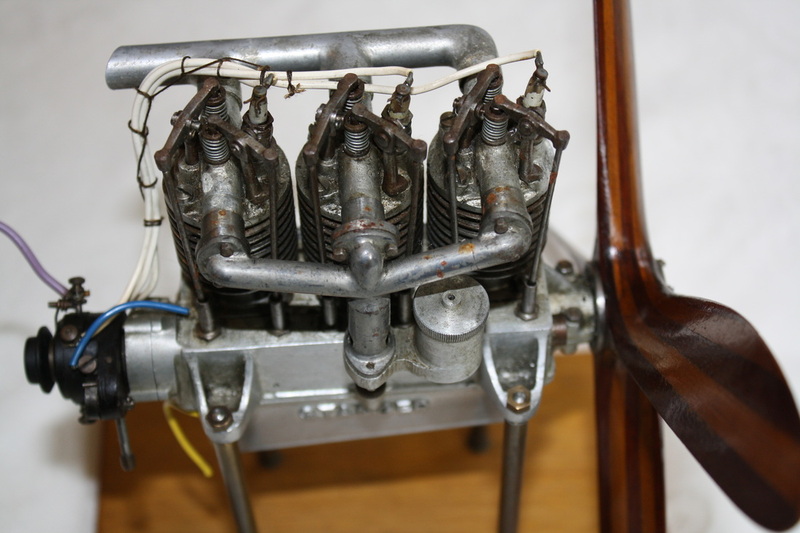 The float type carburettor is probably the smallest ever made. The fourth engine, an air-cooled 3-cylinder in-line, 2-stroke type was built approximately in 1926. This engine has a three division crankcase and a twin-choke carburettor supplied by a single float chamber. Lightness, simplicity and ingenuity of design are the main features of this engine, and the finish and constructional principles are to his usual high standards. The spark plugs, ignition equipment and accumulators were built by Mr. Stanger for all four engines; no mean achievement in itself. Several single cylinder air-cooled 2-stroke engines were subsequently made and fitted to model aircraft of both biplane and monoplane configuration. The biplane design no doubt influenced other builders. In this series of engines was the smallest to be built, about 1 c.c. capacity, and was only surpassed in size when the commercially built model diesel engines had been fully developed in the mid-1950's. 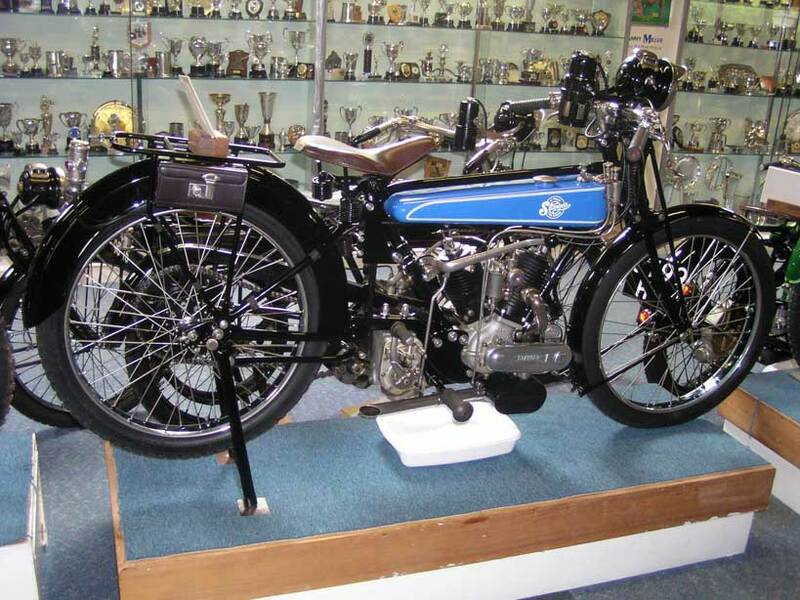 About 1920 Mr. Stanger designed, built and patented a V-twin 2-stroke motor cycle engine of 5 h.p. which was used extensively and most successfully on endurance trials. He also built, in 1901, his own motor car which was well in advance of its day. Further evidence of his versatility is the set of dining chairs. There is also in existence a beautifully proportioned aluminium statuette which demonstrates his outstanding command of moulding techniques. 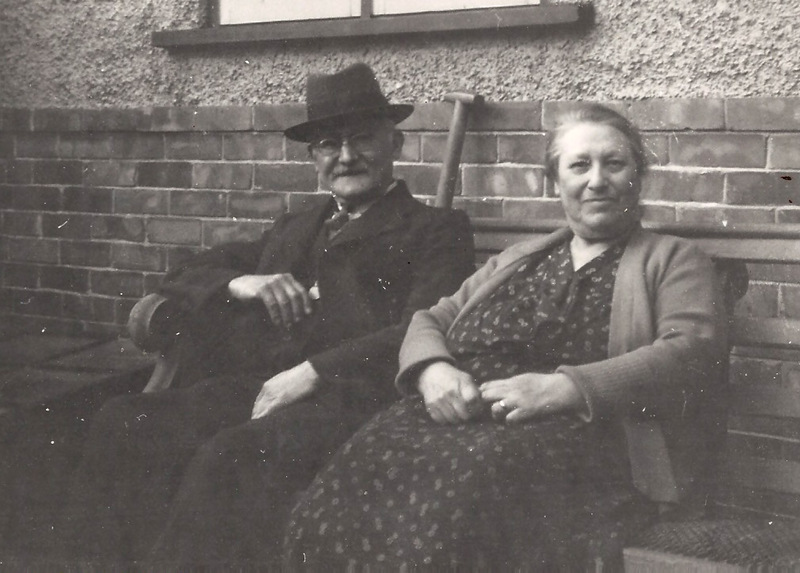 He constructed his own screw-cutting lathe, made his own micrometer (which was used by Mr. John Stanger until his retirement in 1958), his own protractor, iron plane and, in fact, most of the tools for his work. The foregoing has been written so that the achievements and work of Mr. David Stanger may be properly appreciated and made more widely known. He was a pioneer whose creations were enormously successful, and were due solely to his own efforts, working from basic principles.